Travel arrangements were a big item on our checklist of wedding things to-do. Most engaged couples just worry about hotel blocks for their wedding guests but being the overachievers we naturally are, we decided we would coordinate hotel and flight arrangements for all of our wedding attendees. Crazy right? This seriously turned out to be a heck of a lot of work. Because my mom is also a travel agent, in addition to many other things, she worked tirelessly to provide group flight options to all 60 of our guests that traveled to Maui from their various home locations. We had a large amount that came from Chicago (over 40) so they all ended up the same flight but there were also 20 that came from places such as Boston, Atlanta and St. Louis. Secure an accurate count of everyone planning on attending the wedding (much easier said than done). This was difficult because we did have a lot of people that decided at the very last minute that they wanted to come, and we had to make magic happen to get the exact same rates previous guests secured. Gather full government names, birthdates, social security numbers, credit cards, identification photos and completed forms to return to our travel company for all 60 guests. This was even more difficult than getting the accurate count! Prepare and send flight itineraries to all guests. Find replacements for those who booked flights but had to pull out at the last minute, including a full family of FIVE and another couple of TWO that were friends with the family of FIVE!!! Because we signed away for these flights, we had to figure out who would replace them or we would be on the hook to pay for those flights! Finalize details with the hotel to offer our guests three room options including garden view, ocean view and ocean front. Make sure everyone booked their hotel rooms by the cut off date and didn’t have problems with getting their discount code to go through. We also had to sell a certain number of rooms to keep this discount or we would be on the hook to pay for whatever we didn’t sell. That was definitely another panic moment as guest numbers fluctuated through this process. Troubleshoot and field questions 24/7 leading up to the wedding about flights and hotel accommodations. In the end, I would not have had it any other way. It ended up being incredibly convenient for our guests, and we didn’t mind losing our minds to do this because we appreciated our guests coming such a long way to see us get married. It was also awesome for so many people to be on the same flight because they had a great time and developed new relationships as well. If you dare to do something similar, remember this is no small feat! I would suggest only considering this method if you have a smaller group of travelers, definitely not the 60 we had. Until next time! I began the process of shopping for a wedding dress early. I knew it would be difficult to select something mainly for two reasons: 1. Though I had some ideas in mind, they were all over the place 2. My mom is just as indecisive as I am so it would be two times harder to make the final decision. I did a lot of research on different silhouettes, fabrics, styles, designers and even colors. There is usually a certain type of gown associated with destination weddings (flowing chiffon comes to mind) but I didn’t want to be put in a box and limited to what I could wear on my special day just because of my wedding location. I knew comfort was important to me because I planned to party with absolutely no restrictions. I wanted something that was a little unexpected with classic elements. Most importantly, I never wanted to look back at my pictures and wonder what the heck I was thinking! In the beginning, I tried on tons of dresses, and when I say tons I literally mean tons. The final tally was over 100 dresses, which ranged from Vera to Monique Lhuillier to Enzoani and everything in between. The process started out super fun and ended up more like a chore. Every now and again, I would madly love a gown and then a couple of weeks later, I would fall out of love. That might just be the Gemini in me. The dress would please one twin but not the other. I seriously did not think I would ever get that “This is THE one” feeling, and I’m still not sure if I ever got it like other brides experienced. What I do know is that I learned the best way to select a wedding dress is by not putting too much pressure on “the dress”. In the end, it is just a dress. I went with my instincts and slept on the decision just to make sure it was right. When my spirit urged me to try on one dress three different times, I knew it was the one I wanted. I selected a dress that I felt like me in. I wasn’t playing dress up or pretend. I felt like me, just a bit more glamorous. After finalizing the major decision of where our guests would stay while on Maui, it was time to begin the process of communicating this information to our prospective guests. Fred and I spent a lot of time working on compiling details about the wedding, like accommodations, area amenities, ceremony and reception location and other useful tidbits. I thought that it was best for us to create a website to house this information so we could cut down on any confusion and answer basic questions more efficiently. We also began working on our guest list and save the dates. Save the dates were super important to send out considering we were having a destination wedding. Fred and I wanted to give our guests as much lead-time as possible to prepare for the wedding so these were sent out almost a year before the wedding date. Preparation to send these out was a long drawn out process because it meant working with our parents to retrieve over 100 addresses for family and friends that would be invited to join the festivities. You never realize how much time it takes to call people and confirm addresses but this process can sometimes take several weeks. I suggest starting this process as soon as you get engaged, even before you start confirming other details. Getting the guest list solidified was probably one of our hardest tasks. Working on the design for our save the dates proved to be a bit easier. The design was inspired by a passport. I saw several designs for boarding pass invites and passport invitations in my research online. I loved the concept of doing something more playful and creative for the save the dates and something more formal and traditional for the invitations. This was our chance to set the celebratory tone and theme for the event while really showing our personalities. We worked with an amazing designer and friend Corrine on the concept. She totally understood my vision and brought my ideas to life better than I could ever imagine. This was a custom job from start to finish and ended up being super labor intensive but we were very pleased with how they turned out. The rave reviews from our guests made the hard work well worth it. There was nothing like waking up in Maui. The birds were happily chirping, the sun was brightly beaming, and the waves were peacefully crashing. Our second day there was a super exciting day. We were going to view our ceremony site and meet our wedding planner and florist for the first time. 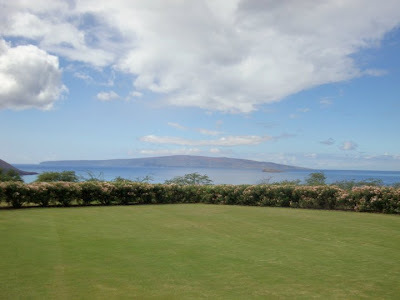 In the late morning after a nice breakfast, Fred and I headed back to the Wailea Golf Course, home of Molokini Lookout, our top ceremony location contender. We were instructed to head to the top of the hill where we would follow Cherise, our wedding planner, down the private gated road to the space. I found Cherise online after weeks of frantically researching Maui planners who had to meet the following criteria: 1. Friendly, 2. Professional, 3. Organized, 4. Knowledgeable 5. Reasonably Priced and 6. Tolerant. Tolerant was definitely crucial given how indecisive I, not to mention my family, can be. We needed our planner to roll with the punches and be ready for any random changes that may occur. Cherise was all we asked for and more. When we pulled up to the venue, Cherise introduced herself, and I remember thinking what a sweet spirit she was. As we began walking up to Molokini Lookout, my breath was simply taken away. The utter seclusion and panoramic view was unlike anything I had ever experienced. Fred and I knew it was absolutely perfect for our ceremony. I imagined the view of the Pacific Ocean and nearby mountains serving as the backdrop for our vows, and it made me so happy. I couldn’t believe I would have to wait an entire year to come back to this space. After our viewing of Molokini Lookout, we headed back down the hill to Gannon’s to discuss further details and meet our florist Della. Meeting Della was like meeting an old pal or even a family member. We immediately felt so comfortable with her as if we had known her for years. She was filled with joy and creativity and was so funny she kept me laughing. She was just fantastic. This was probably one of the most laid-back event planning meetings I have ever encountered. Before we came to Maui, I pulled together several inspiration boards with ideas for the color palette and theme of the wedding which I themed “tropical bohemian elegance.” Cherise and Della totally got my vision from day one. We laughed. We discussed décor ideas. We talked about design and colors, and we decided then and there that we were working together. Done, done, done and done. Leaving that meeting, I definitely knew I had the right team -- my Dream Team -- that was going to give us the wedding we always dreamed of. We just had to pick a hotel now to complete our site visit, and we still had quite a few to see with only one more day on the island. Early in the morning on our first day in Maui, we left our hotel room and headed to the car. This was the first time Fred had a glimpse of Maui in the daytime. He was mesmerized, just like me. It was unlike anything we’d ever seen; simply breathtaking. We were heading to Wailea for what would turn out to be a very long day of hotel and area scouting, videotaping and photographing ending with dinner at our top ranked reception location Gannon’s. Before we knew it, we arrived in 10 minutes flat! Our first stop was the Grand Wailea. This place was just unreal. I think our mouths were literally hanging open the entire time we toured this extravagant resort. As we glided past lush greenery, statues and ponds of exotic fish into the hotel, we were welcomed by friendly staff offering this incredible punch, which I could literally have drank bowls of. In fact, I almost asked if they could package some for me to take back to Chicago….. almost. We politely asked the front desk attendant if we could view a room onsite, as well as receive some group rate information. She kindly agreed to both. 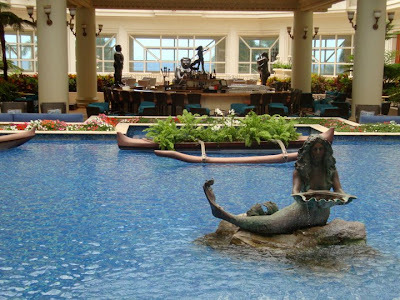 Following our tour of the majestic and opulent Grand Wailea, we drove over to the Four Seasons to browse. There is something so magical about the Four Seasons. It’s understated yet modern take on luxury is why it is consistently rated the best. We came to view the on-site restaurant Spago as a potential reception venue. In fact it was one of our top contenders at the time. The food was rated high, the view from the restaurant was incredible, and it was the Four Seasons, so I was sure that service would be top-notch. However, Spago was going through construction, and we couldn’t really get an idea of how it would look after everything was completed. There were also tons of limitations regarding what vendors you could hire which didn’t sit pretty with me. Somewhere between our Spago viewing and dinner, we lost track of time. We decided to sit down near the Four Seasons pool for a “short” break. I think as soon as we sat, we entered a tranquil state of zen that could not be escaped. Originally we planned to view another hotel but before we knew it, it was time for our dinner reservation. The hours just seemed to fly by. I may have even time traveled. I seriously have no idea what happened. Island time officially won the battle against my organized schedule and type A behavior. And I happily gave in. After a good half an hour of trying to remove ourselves from the Four Seasons, we headed to the Wailea Golf Club for our first viewing of what was our number one contender for our wedding reception, Gannon’s. It was pretty dark by this time but we knew it would be a good idea to have dinner at the venue to make sure everything would be acceptable. We definitely had a lovely dinner and felt secure in going forward with this location. As our amazing day came to an end, we drove back to our sad hotel in the pitch black night with a positive attitude excited about what would await us the next day. If I ever considered leaving Chicago, Maui would definitely be the top contender for where I would move. To say I fell in love with Maui on my site visit is a true understatement of gargantuan proportions. After two flights totaling nine hours, Fred and I were absolutely exhausted. However the moment we finally arrived and stepped outside, serenity washed over me as I listened to the ocean humming its sweet music in my ears. I was at peace. Once we got our rental car, we were on our way in the pitch-black night down small town roads to our Priceline deal hotel in Kihei (so glad I remembered my GPS which was our very best friend on this trip). After arriving at the hotel, which shall remain nameless, we were less than pleased. I felt like I was back in my freshman dorm room for the night. I guess this is my fault though considering I was so excited about the deal and the fact that the hotel was right on the ocean. The Trip Advisor reviews seemed better than average so I figured how bad could it be? Well, to answer now it was pretty darn bad. This is what we get for trying to save a few bucks here and there for our site visit due to upcoming wedding and honeymoon expenditures. We stuck it out because we knew we would be back in a year living it up luxury style. And by the time we actually checked into our room after a full day of travel, we were beat. So off to sleep we went on a rock hard full sized bed. I awoke early the next day to lovely chirping birds, gorgeous sunlight and ocean sounds. Fred was still sleeping but I decided to take a quick stroll around. As soon as I stepped around the corner from our room, I saw the beach and instantly forgot I was staying at the Bates Motel. I realized this is why we are getting married here. There was nothing like it. I headed out to the beach and saw that there were already plenty of people standing around in awe like me. I was surrounded by clear water and incredible mountain views that made me realize just how small all of my problems really were. That’s the thing about Maui. All petty issues seem to float away when you are enveloped by natural splendor. I relaxed on the beach for an hour before heading back to the room. Fred was already up, excited and getting ready for the day. What would we do first? Well I had a pretty comprehensive schedule mapped out for our four days (Type A remember?). Our first stop: Hotels. Can’t wait to share our experience next week. Destination wedding? Check! Location? Check! Date? Umm well let’s see. After careful thought, Fred and I simply decided to select our dating anniversary, October 28th, which serendipitously fell on a Friday the year of our wedding. At that time, 11/11/11 was all the rage in wedding date land but we figured going with 10/28/11 instead of some arbitrary date that sounded cool would mean more to us in the end, and it would be easy to remember. Double bonus! So wedding date? Check! After we confirmed these details, I started the not-so-glamorous nor exciting research process. I basically oversaw this process because I consider myself to be the queen of research. I can toot my own horn a bit right? I began with wedding venues narrowing down the list to my top three selections based on budget, locale, staff helpfulness, reviews, online photographs and miscellaneous perimeters. 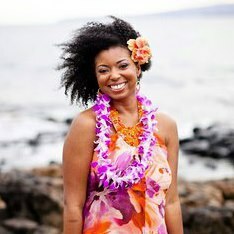 I even emailed a few Maui brides to get their personal feedback. There is nothing better than talking to a bride about her unique experience at the venue you are considering. You get the “no holds barred” advice without the fluff ; the good, the bad and the ugly. I highly recommend doing this to those currently planning their weddings..
Once I gained more prospective on venues, I explored hotel options in close proximity to my top spots. Fred and I had a laundry list of wants, which included a resort that was inviting, relaxing, reasonably priced, and full of activities and amenities, basically what one would imagine a Hawaiian getaway should be. After all of the research I did, reviews I read and the photos I poured over, I still didn’t feel completely ready to pull the trigger on making final decisions. So we decided to make the extremely tough decision to plan a site visit to Maui. This was indeed the most difficult part of my wedding planning. I’m sure you caught the sarcasm there. I can’t wait to share the adventures of our site visit with you next week! “Aruba, Jamaica, ooo I wanna take ya to Bermuda, Bahama…” well you get the gist. There are endless locations available for the picking for destination wedding couples. Fred and I researched all of the typical spots like Jamaica, Virgin Islands, Puerto Rico, St. Lucia, and even Las Vegas. So how did we end up choosing Hawaii, you ask? Have you ever heard the saying “Good things come in threes?” Well, this story gives credibility to that saying. Good thing 1: Exactly one year before Fred proposed, I received an email about Maui vacations. The picture in the email was so striking that I immediately did a quick Google search on traveling there. 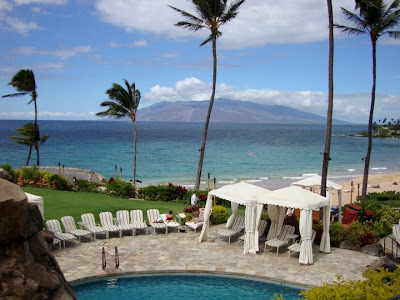 Something just drew me to South Maui, and I quickly fell in love with the Wailea area and knew I just had to visit one day, perhaps for my honeymoon. Good thing 2: A few weeks after I got engaged, I started chatting with my co-worker and good friend Leslie about potential locations for my destination wedding. She mentioned a once in a lifetime trip she took with her family to Maui. The way she spoke about her stay at the Grand Wailea was so magical, and the stunning beauty of the online photographs enchanted me. We literally stared at my computer screen with our mouths hanging open. It was all so breathtaking, and the thought of marrying there instantly calmed me. I was immediately reminded of my research on Maui vacations the year before. Good thing 3: Every potential setting for our wedding seemed a bit “blah” to Fred until one particular evening. On one random night following my conversation with Leslie, Fred blurted out “What about Hawaii?” He had no clue about my conversation with Leslie or my secret desires of going there. I asked him why Hawaii, and he said because who doesn’t want to go there? Such simple and true words spoken from the fiance’ himself. So I quickly jumped on board saying we should do it. When he asked which island, I already knew the answer.